K-ICT Born2Global Centre (B2G) has published the “Korea Startup Index 2017,” the fourth publication in the series. Korean innovative technology companies need far more opportunities to enter the global market and these opportunities can be created only when the members of Korea’s startup ecosystem work together. Since its inception in 2013, B2G has worked diligently to foster innovative technology companies that can represent South Korea on the world stage and lead the global startup ecosystem. Going forward, B2G aims to continue its efforts under this vision. To help realize this goal, B2G selected and compiled key information on: Korean startups and its progress in 2017, current state of the Korean startup ecosystem, success stories and key factors involved in entering the global market. The content is formulated through careful analysis of ICT companies, investment trends and examination of the startup ecosystems and support policies in Korea and in major countries around the world. It is B2G’s greatest hope to provide readers with useful and meaningful information and for this index to serve as an important reference and contribution to the improvement of the environment for innovative technology companies to develop in Korea. 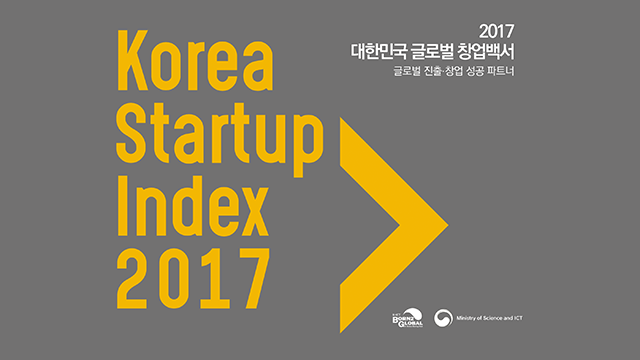 *The English version of Korea Startup Index 2017 will be available at the beginning of next month.